The Order: 1886 developer, Ready at Dawn, spoke during a technical presentation at SIGGRAPH 2015 about the PlayStation 4 exclusive, revealing several interesting bits of information. The dev team, which was originally made up of 45 developers when work started on the game in 2011, rose to a peak of 140. As the studio’s previous work was all based on the PlayStation Portable, The Order: 1886 presented quite the mountain to climb. What’s more, everything was to be real-time, in-game, meaning no pre-rendered assets. 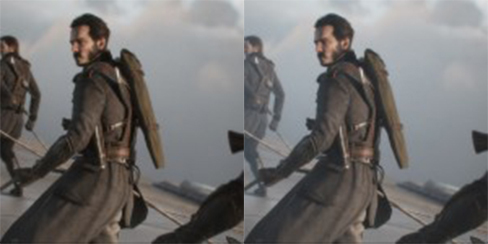 The team also debunked the rumors of Galahad being a vampire, stating that the protagonist’s missing reflection was not a case of vampirism, but merely just the tech used to create better-looking shadows being incompatible with mirror-like finishes. While The Order: 1886 may not be coming to other platforms any time soon, it’s still worth taking a look at the game running at 1080p 60fps on a PC. The game’s engine, which is a custom in-house design, had its impressive power showcased through images of PC footage with various graphical settings turned on and off. Particular attention was given to the “Volumetric Lighting” options, examples of which you can find below.